Look where the summer of 2018 has taken these PYSO Alumni! 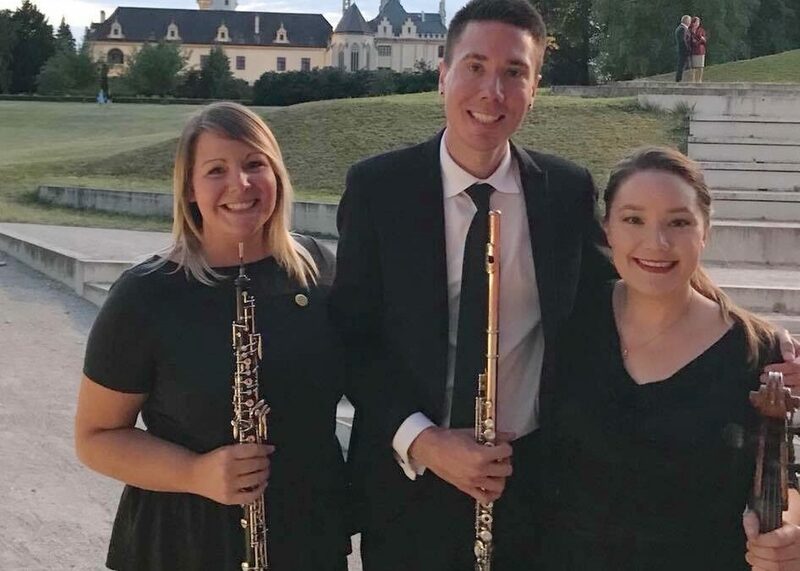 TJ is pictured above with PYSO Alumni Eleanor Lee (cello 2007-11) and Kelly Mozeik (oboe 2006-08) who have been performing together for the past few years with The Orchestra Now. 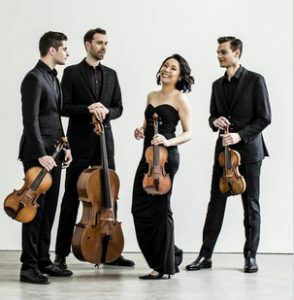 Ross Snyder (violin 1999-2003) is approaching approaching 10 years performing with the Tesla Quartet, which he founded as a graduate student at Juilliard in 2008. They have a busy touring schedule that takes them all over the world. In the last two year’s they’ve performed in China, South Korea, Germany, the UK, Hungary, and later this year they’ll be making their first trip to Brazil. They’ve recorded two albums recently, the first of which will be released on Orchid Classics this September! 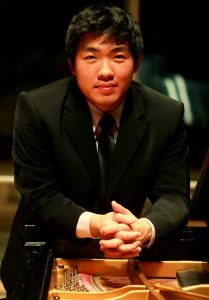 Michael Tsang (Piano 2008-11) has been busy finishing his Doctor in Physical Therapy (DPT) degree at Washington University in St. Louis School of Medicine and will be graduating in May 2019. In May 2016 he not only finished his undergraduate dual-degree program between Cleveland Institute of Music and Case Western University in Piano and Biology, but also received a Masters in Music (piano) in the over-lap program at CIM! Although he auditioned for (and was happy to be accepted at) a few different DMA programs, he had become interested in the field of performing arts and musician injuries after knowing friends and colleagues who struggled with performance injuries. He decided to move in a different direction which is how he came to where he is now. He continues to play piano and to perform in St. Louis and also teaches piano. He eventually would like to work in an orthopedic setting, treating patients with a variety of musculoskeletal and neuromuscular conditions/injuries. He would like to specialize in the performing arts field and hopes he can make a difference by helping other musicians and performing artists.